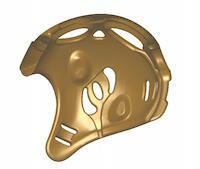 The Directive on Personal Protective Equipment (PPE) 89/686/EEC defines throughout Europe binding rules meat to guarantee the safety and the protection function of the personal protective equipment (PPE). 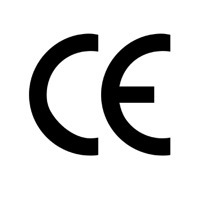 To be in accordance with these PPE directives all producer must mark each safety with the official CE sign. Detailed technical requirements and test procedures for special safeties are defined by European directives, which apply for all European community members but also for many other countries. The directives EN 13277-1 to EN 13277-7 define the requirements for the martial arts safeties. 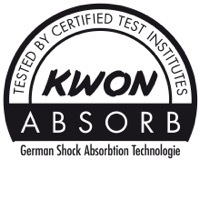 KWON had a leading part in the testing procedure development and directives definition and has now a leading position in the implementation of effective safeties for a secure practice of martial arts. All KWON safeties have been tested in accordance to the corresponding European directive and are therefore properly marked with the CE sign. All products with this Logo are defined by the utilization of ergonomic preformed foam parts providing the ultimate wearing comfort and an optimal fit. All products with this symbol have been tested and stand out due to extraordinary good results in shock absorbtion.